This blog post is looong overdue, and I've been meaning to finish it for a long time. Unfortunately, life has gotten in the way of a lot of my blogging, with moving house and other things going on in my life over the past few months, but it is finally here. My first very brief fling with make up occurred when I was about 11 or 12 years old, when I attended a Body Shop Party. Anyone who has ever been to a Body Shop (or similar) party will know that they grab a “guinea pig” and give them a make over – needless to say, I was said guinea pig. As a result, my Mum bought me most of the products that were used (eye shadows, foundation and lipstick) and I attempted to recreate that look – could I do it? Could I heck!! And so ended – for over ten years – my initial relationship with make up. It might not have been a happy ending for me and make up, but it was the beginning of another love affair; between myself and Body Shop. Body Shop has become a brand that everyone has an opinion on, for whatever reason (and we won’t get into any of them), but I’ve always felt quite fondly, and find it a shame that there have been quite a few store closures near me lately. So, when I was asked if I would like to try some Body Shop products, I was more than happy to, because they are a brand that I am always happy to support, and have done so many times in the past. What does everyone call those things? I always call them "puffs"...! This gift set is the perfect size for a present for someone (as you'd expect from the name "gift set"), but I found it to be incredibly handy to take around on my travels, since I tend to use Travelodge, which - as people might know - don't provide toiletries in their bathrooms. So these are really handy for shoving in your bag to take with you. The Shower Gel is best used with the "puff", and I highly recommend using one no matter what shower gel you use, because I always find that the puff helps the gel to foam up a great deal more, meaning that a tiny drop goes a greater distance. Therefore, it's better for the environment and your pocket! The Fragrance is my favourite product from the entire set. 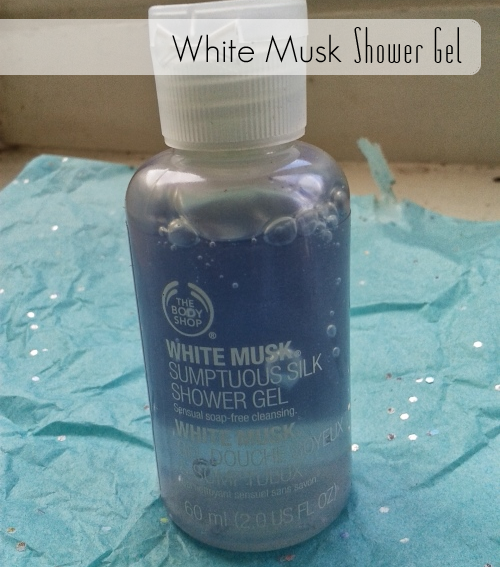 I remember having White Musk products when I was younger, and I think that it is fair to say that White Musk is the "scent" that I mostly associate with the Body Shop brand. Unfortunately, I did come to trying this product with a little bit of a negative attitude towards White Musk, because I remember always thinking that it had quite an old-fashioned "Granny" small to it, and when I mentioned White Musk to my Mum, she pretty much said the same thing. Nevertheless, I love the White Musk fragrance. Yeah, it does still have an old-fashioned kind of smell, that I can imagine a lot of people won't like, but - and I don't know if this is just a sign of me getting older - I really liked it. 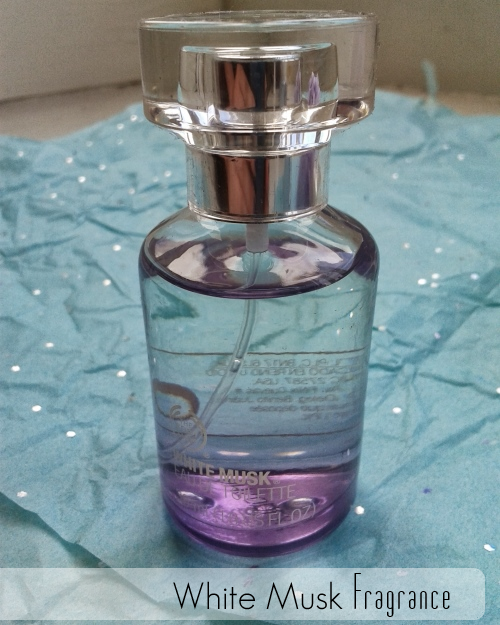 In a practicality sense, I love the small size of this bottle, because not only do you get plenty of product - that is going to last for quite a while - it is the perfect size for even small handbags, so it's great for nights out when you bag is likely to be smaller. But, even if you have a larger bag for day time, at least you know that with this one, it's not going to be weighing you down. This is - again - perfect for travel, because of the size and it would be ideal for hand luggage. I don't know about anyone else, but my skin always gets really dry when I travel, but especially when I go on a plane, so having something this size is just perfect. 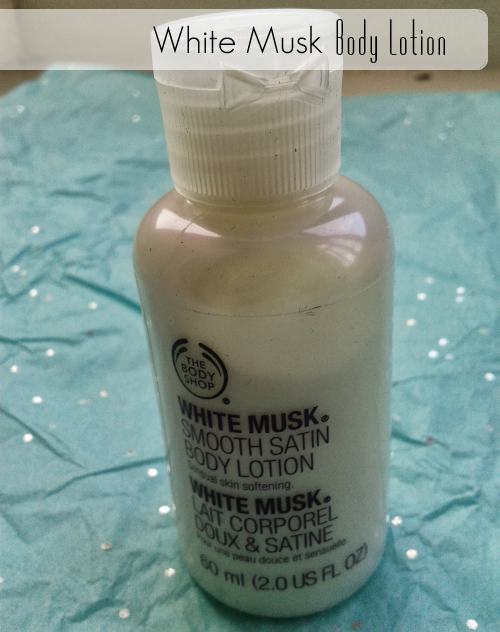 Although it has strong competition from the fragrance, the White Musk Smoky Rose Body Lotion is probably my number one favourite product from everything that I received. It is incredibly nourishing, and whilst I do tend to use is mainly on my hands, I like using it on my arms and elbows too. But what I love most is the smell. I like the smell of the White Musk body lotion, but the Smoky Rose one is a bit stronger, and I just really like it. It's a bit weird, because I'm not generally a fan of really well fragranced lotions, because they tend to annoy me, or set my Asthma off. Did you grow up with Body Shop? What are your favourite products and memories?